Sophia Mundi Steiner School’s Class 7-10 students competed with both Little Yarra Steiner School and Melbourne Rudolf Steiner School for the Inter-School Athletics Day in Ringwood on Friday 23 March, striving for their personal best and supporting each other in their physical challenges and victories during the event. 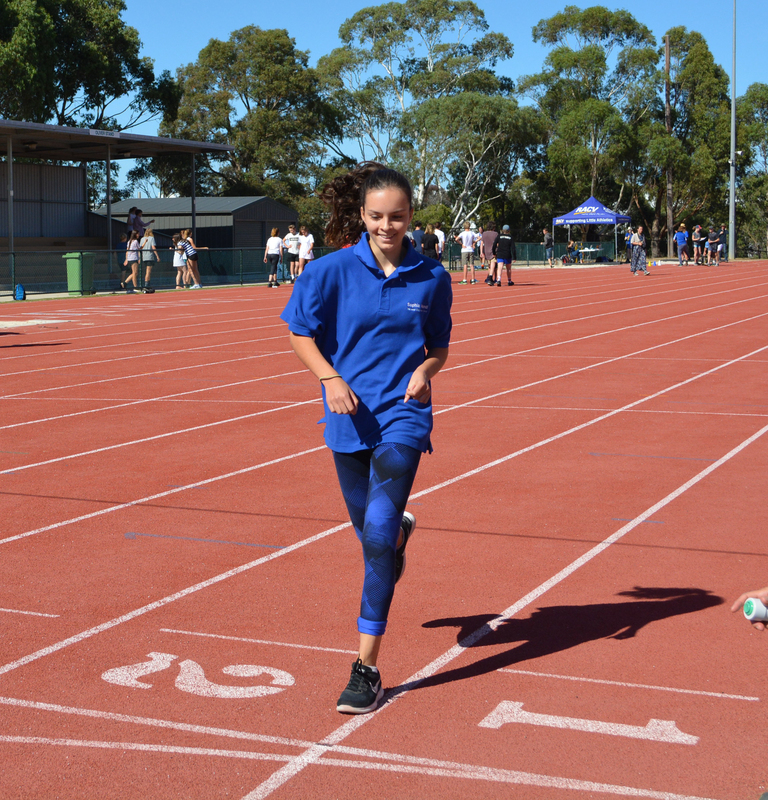 The atmosphere in the Athletics Centre was spirited as students and teachers from the three schools reconnected on the warm Autumn Day. Well done to all students who competed on the day, especially Class 9 who had just arrived from their hiking camp. Some of the students attended extra morning training before school to develop fitness for running and be ready for the day. Many of these students took a ribbon home. Good work!